The owner or manager leads by example. He or she is usually the first to arrive, the last to leave. The owner knows everyone by name and their presence is obvious. They show a strong commitment, setting the standard where they work. This commitment should be easy to understand, after all if they don’t work hard in their own company, how can they expect any one else to take their business seriously? Staff receive information as soon as the owner does. Goals, problems and concerns are discussed openly. Feedback on issues is encouraged and staff are asked to contribute their own ideas for making improvements and overcoming difficulties. It is often this aspect of open communication that staff appreciate the most, after all it is fairly unique to small businesses. Staff are recruited very carefully, because the owner(s) recognise they are the lifeblood of any small business. Staff are hired on the basis that their knowledge, skills and abilities will be beneficial to the organisation rather than because of friendships or family relations. Staff are not only carefully chosen but are nurtured and trained so that both the staff member and the organisation get the maximum benefit possible out of the relationship. All staff are very committed and loyal: good performance is rewarded with praise, extra responsibility and money—poor performance is not. Consistently poor workers are removed as they upset the rest of the team. Organisations whose staff show optimum commitment and loyalty have a source of competitive advantage that is hard to copy or to beat. Most successful businesses have unique products or services, such as their own designs, products, systems or some other aspect which sets them apart. This uniqueness is an important source of competitive advantage and one which many companies work hard to sustain, adapting and innovating their products or services as their competition catches up on them. Successful small businesses have a specific focus on their customers and clients and are geared to supplying them with exactly what they want. This focus means adopting a market led approach, with the owners and their managers consistently looking for ways to solve their customer’s problems and improve their products to match their customer’s requirements. On occasions when an enquiry or complaint is received, successful small companies actively follow up and solve them as quickly as possible. The results are promptly reported back to the client or customer and in the case of complaints, measures put in place to reduce the likelihood of similar issues reoccurring. 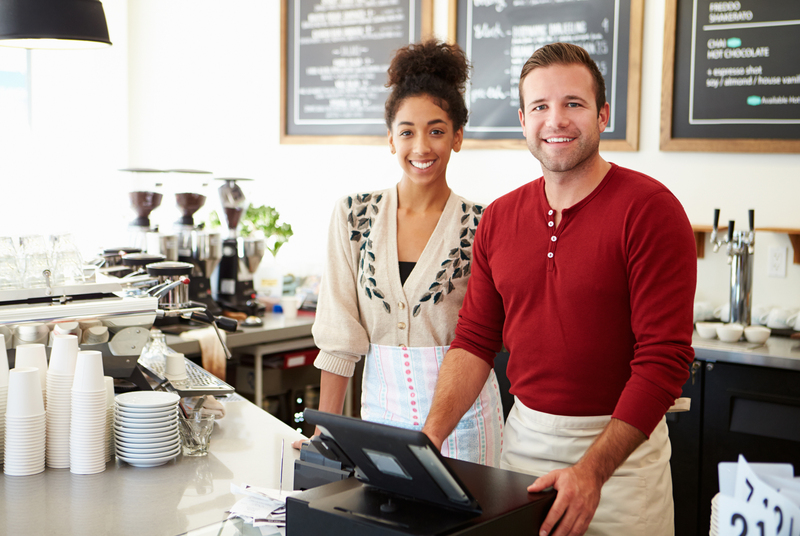 Successful small businesses view complaints and problems as opportunities for growth and improvement in their businesses.